Bullet For My Valentine have signed a deal with Search And Destroy/Spinefarm Records. The Welsh metal heroes’ four most recent albums – 2008’s Scream Aim Fire, 2010’s Fever, 2013’s Temper Temper and last year’s Venom – were all released under the Sony group, with their 2005 debut The Poison being issued on indie label Visible Noise. The new deal will see future BFMV records released worldwide via Search And Destroy/Spinefarm Records – which is owned by the Universal Music Group. 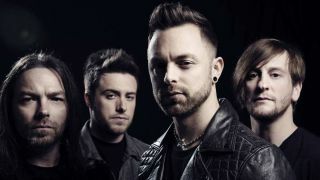 Frontman Matt Tuck says: “We’re very proud and excited to announce our signing to Search and Destroy/Spinefarm Records.